Border Patrol agents will receive overtime payment under the new system beginning with the first pay period in January 2016. The Office of Personnel Management on Friday published the final rule on the new overtime system for Border Patrol agents. The new compensation system, mandated by the 2014 Border Patrol Agent Pay Reform Act, eliminates the current practice of administratively uncontrollable overtime, which is meant to be used when unforeseen events force agents to stay past the end of their regular shift. A 2013 Office of Special Counsel report, however, found abuses of AUO at Border Patrol offices that cost the government millions of dollars, which prompted congressional action. The law seeks to simplify border agents’ pay system, and will result in less generous compensation. 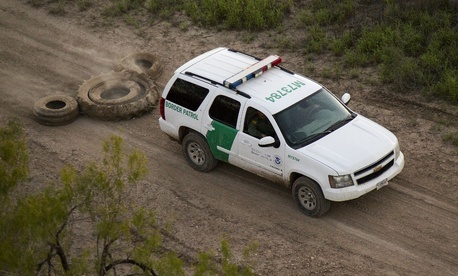 It directs Border Patrol agents to choose to work 100, 90 or 80 hours per two-week pay period. Those who choose the 100-hour option (Level 1) will be paid an overtime “supplement” that equals 25 percent of their normal base pay, but they would not receive any extra compensation for overtime hours beyond the 10-hour days. Employees opting to work 90 hours per pay period (Level 2) will earn 12.5 percent of their basic pay for the extra one hour of overtime per day, while those who work 80 hours (Basic) will simply earn their normal base pay as determined by their General Schedule rank, and no overtime. Employees who work longer than their agreed upon schedule -- which Border Patrol managers and advocates have said occurs regularly and allows agents to remain in pursuit of criminals when their shift ends -- will be rewarded through compensatory time off; if it’s scheduled in advance of the work week, they will be compensated under the regular Title 5 overtime provisions (5 U.S.C. 5542). According to the rule, typically no more than 10 percent of agents at a location can have a Level 2 or Basic regular tour of duty. “In other words, generally at least 90 percent of agents at a location must have a Level 1 regular tour of duty,” the rule stated. Even the union that represents most of the 21,000 border agents admitted the old system -- which allowed employees to double dip into overtime -- was “bloated” and endorsed the bill as a reasonable reform. Customs and Border Protection must provide information on work schedule options under the new system to Border Patrol agents by Nov. 1, 2015. Agents have to choose their new schedules by Dec. 1. In May, President Obama signed into law a bill clarifying that Border Patrol agents should continue to receive overtime pay until the new system goes into effect next year. H.R. 2252 essentially clears up some confusion over implementing the 2014 Border Patrol Agent Pay Reform Act. A CBP decision in April would have forced agents to pay back overtime they had earned since the bill was signed into law, and would have deprived them of overtime pay starting on April 19, even though the new compensation system doesn’t kick in until 2016. The House Oversight and Government Reform Committee said that Customs and Border Protection officials “fundamentally misunderstood the intent of the new law,” so H.R. 2252 was approved to clarify the dates of implementation.